This past Sunday I found myself in an American Mega-Church. As I looked around me I saw the 7500 other seats surrounding the altar area, the 120+ channel digital console, rows and rows of fiber terminations, and a lighting console that rivaled the best on Broadway. Underneath me was a broadcast facility that looked like it had been taken right out of an NBC production truck – full recording facilities, a small shooting room, and translation booths galore. This was a facility built for media. Like many churches of this size there was a dedicated internet streaming studio for live broadcast to the masses, and a small army of men and women running around the facility in their “Media Ministry” shirts. There was no doubt that this place had the toys – uh, I mean the tools – for some serious media ministry. I was looking for a friend of mine, so I took up a seat on the back row of the balcony. I was anxious with anticipation. The large 20 foot 16:9 Hi-Definition screens were blasting away messages for the upcoming week; the orchestra was taking their place, and the stage managers were running around doing last minute service checks getting ready to go live. 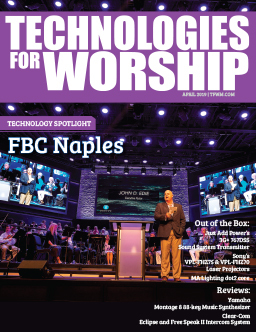 Finally, it began – I heard the first note of the service, the lights subtly changed to an absolutely beautiful display, the worship leader stepped forward, raised the microphone, and in the weakest manner possible his voice came over the PA system “Would you please stand as we sing”. My jaw dropped. For the next several minutes I was in dismay as I strained to hear the words being uttered from those leading worship. It was difficult at best to try to sing or engage in corporate worship. The emotion – the feeling – the presence – it was all lacking. In a church of this size, media plays a key role in bringing the masses together to worship with exuberance. The tools were failing – and I could tell from the looks of the worshipers around me that I wasn’t alone in my difficulties. Now, I want to be clear – when I use the word emotion, I am not talking about creating an emotional environment; for only the Holy Spirit should be working during worship – not some feeble creation of man to make a person respond in anything other than authenticity. But there SHOULD be an emotion in the way the sound, lighting, and video reaches the congregant. This emotion should be the pure representation of the voice or visual message. When it is diluted and brought across in a stale manner the message is actually LOST. So I am speaking of maintaining the integrity – the emotion if you will – of the message, not creating something fake. It was clear that this particular service was lacking that emotion and in the process losing the sincerity of the message and the worship. This particular Sunday had a guest pastor at the altar, and his voice was not equalized correctly – instead it was piercing and uncomfortable – but not uncomfortable because of content – it was uncomfortable because of technology. So to the small churches, I offer hope – even the large churches with full resources mess it up from time to time. For the large churches I offer this advice – don’t forget the basics in the midst of huge production. After the service I was touring the facility and met with some of the technicians. I learned the probable source of their problem. They didn’t perform an adequate sound check. It seems there were high school graduations in the facility the day before and the outer delay rings had been turned off – it seems they didn’t get turned back on and this wasn’t realized in sound check. So I was listening to the center cluster located several hundred feet away and hearing the echo of the room. The problems with the EQ of the pastor’s voice were another indicator of a rushed sound check. So the topic of this article, “Got Presence” is pointed not only at sound but video and lighting as well. If we build a dynamic worship service, but don’t deliver dynamics we lose the congregant. Not only that, but we disassociate the congregant from worship – the exact opposite of what we are trying to accomplish. As I alluded to earlier, the single most effective thing we can do as a church is a comprehensive sound, lighting, and video check before the service. This extends well beyond the surface check, but includes a complete walk of the room with a discreet ear, a full dimmer by dimmer check before each Sunday, a thorough walkthrough of every slide and a double check of the order, grammar, and spelling of each one. We should consider this as a pilot does an airplane – every item checked in detail, for the failure of any one component is death. Not only should these checks be conducted, but we should be critical enough in our testing to know when something isn’t right and take measures to fix the problem immediately. The engineers at this church acted as though they had no idea the outer delay ring wasn’t on. I suspect they knew it didn’t sound “quite right” but didn’t do a thorough enough check to find out why. Once we have the basics established we are then able to create more dynamic mixes of audio, lighting, and video for worship. 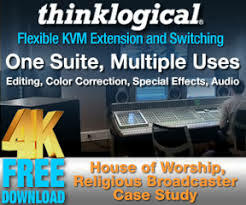 The utilization of effects processing, limiters, compressors, reverb, and the such will greatly increase the effectiveness of the reproduced audio – color, patterns, subtle movement, and well thought out light plots will draw the audience into the worship service despite the size of the group or the building, and video can be implemented with specific thematic slides, animated text, animated backgrounds, and movies to draw the congregant into the worship and teaching by yet another level. However, until the basics are met these goals are but dreams in a land just slightly out of reach. Presence is important. 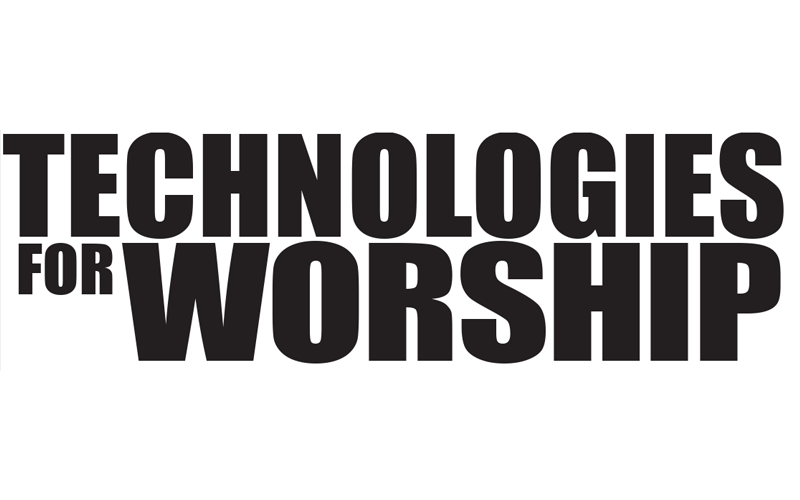 In fact, with contemporary worship it is critical. Presence is in the details and in the presentation. If we overlook the little steps we’ll never get to the desired quality. It is most certainly worth the effort – for the result is a corporate worship experience otherwise unachievable. Technology is a tool – but like any tool it can be used to help or become the element of destruction.